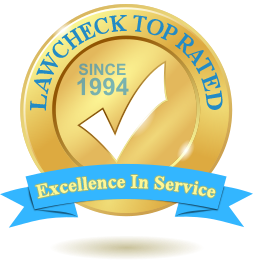 Welcome to LAWCHEK™ — We provide legal resources and security ratings of legal professionals. LAWCHEK™ has worked with Libraries since 1994 providing legal forms and directory services across the country. LAWCHEK™ expanded its legal directory service and developed an improved legal rating system. This ratings system is based on interviews with legal professionals and objective feedback on the technological advancements used in their day-to-day practice. Up until recently, legal rating systems were provided by competitors, namely peers, rating each other or by comments from the general public; both systems can be biased and emotional. LAWCHEK™ utilizes a more effective way to provide an accurate portrayal of legal professionals. This improved rating system helps the general public quickly determine if a legal professional is best suited for their particular case and is providing the best possible security for there information. Enter a firm name or partial firm name (a minimum of four characters is required) Verify Firm Security Usage . 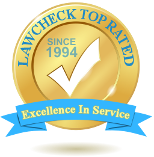 LAWCHEK™ utilizes a legal ratings system that evaluates legal professionals listed on the site for their Internet savvy and technical security as it pertains to the quality of service they offer clients. Each requirement that is met merits the law firm one check mark within their listing. A total of five check marks is possible. If a legal organization does not possess any check marks, they may have chosen not to participate in the ratings system, or they may not have been rated yet. A star within any listing denotes membership, and a blue ribbon within any listing denotes honorary membership. A video camera denotes the legal organization utilizes and/or offers videoconferencing, a service LAWCHEK™'s parent company, enlighten technologies incorporated™, offers. Does your firm possess a web presence? This is defined as any form of website promotion, such as a website. Does your firm have a physical address and has this firm been at this location for more than a year? Has your firm been in practice, and using computers, for five years or longer? Has your firm, or any member, received an Internet or technological award or been highlighted in any major publication? Or, has your firm participated in 25 trials or more? Does your firm utilize a secure client portal, secure backups, secure client file management, and secure communications to keep your client information protected and confidential? Upon review, if your legal organization qualifies in at least one area, you will receive a check mark. If your law firm meets more than one of the listed criteria, you will receive check marks for each area met. For a key to the ratings system, please see the Legend below. Our partner site LawsOnline™ offers several original articles covering legal, political, and personal interests. Check out our latest article on video and document share security. Interested in the history of the Second Amendment? Click below for a series of articles. Flood Survival: How to prepare for, respond to, and recover from a flood. Charity 101 - Choose the best and avoid scams! For a complete list of current articles, please click here.